I dreamt of many things, things that didn’t really amount to much, things I knew I wouldn’t remember. I was startled awake by the sound of a car door closing outside on the typically quiet street. My eyelids fluttered open a few times. I turned over to look at the time on the clock, two in the morning. It struck me as odd because it sounded like the car was close, perhaps even in the driveway. I thought surely I’d just been hearing things, lying back down and closing my eyes. But the hallway light flipping on, shining through the small crevice underneath the bedroom door once again interrupted my sleep. This time I shot straight up in bed, seriously wondering if we were being robbed. I didn’t know whether to run, hide or freeze. My heart thumped hard enough that I could feel the palpitations rising from my chest. A small bead of sweat ran down my back underneath my gray cotton cami. My mind kept saying hide but my body wouldn’t follow. I was frozen. Then the doorknob turned—my heart beat harder. It opened slowly as if someone attempted with great effort to be impeccably quiet. Immediately, my mind filled with horrific images from scary movies I had seen. Just when I was about to release a bloodcurdling scream, I recognized the familiar figure in the doorway. As if out of some sort of a dream, in the middle of the night, Riley entered the bedroom. “Riley?” My throat felt dry and rough. I watched as he softly closed the door and moved warily to the edge of the bed. He didn’t say a word, just knelt beside my bed on the floor. Taking my hand, he kissed it once, his soft lips sending shivers up my tired, limp arm. I couldn’t make out the expression on his face in the dim room, but I felt something on my skin that revealed why he hadn’t yet spoken. Damp droplets fell on my hand still cradled in his. After the tears had slowed, the silence broke. “Brooke,” he struggled to speak before a rush of more tears. “I should’ve never left you.” I reached out my other hand to find his face and wiped tears from his moist cheek. “I didn’t give you much of a choice,” I replied with tears filling my eyes too. “How did you know I was–?” He stopped me before finishing. Desire and despise. Two insanely contradicting emotions that the dark haired, well-built, irrefutably handsome musician Riley evokes in simple but attractive, fashion savvy, Austinite Brooke. Initially unequivocally turned-off by the brash but striking Riley she develops a fascination for his seductive charms as Riley reels Brooke into a world of ravenous love she never knew existed. What they create together is oh-so-much more than beautiful music. It's a roller coaster ride of awe-inspiring and heartbreaking emotion, passion, hidden secrets and an ending that will leave you utterly breathless. 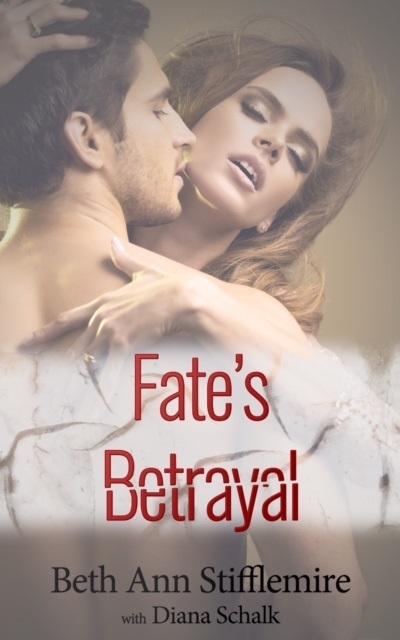 The way they become eternally bound sets the heart afire when fate unleashes the ultimate betrayal. Beth Ann is a wife, mother, blogger and book lover from Texas. Her passion is writing stories that draw a reader into a world where they can become the characters and experience a gamut of emotions. When she's not writing, she love's to be home with my family and two yellow labs. In addition she's a sucker for super sappy romance movies, loves trying out Texas wines, is an avid hot tea drinker and enjoys checking items off of her ever-growing bucket list.